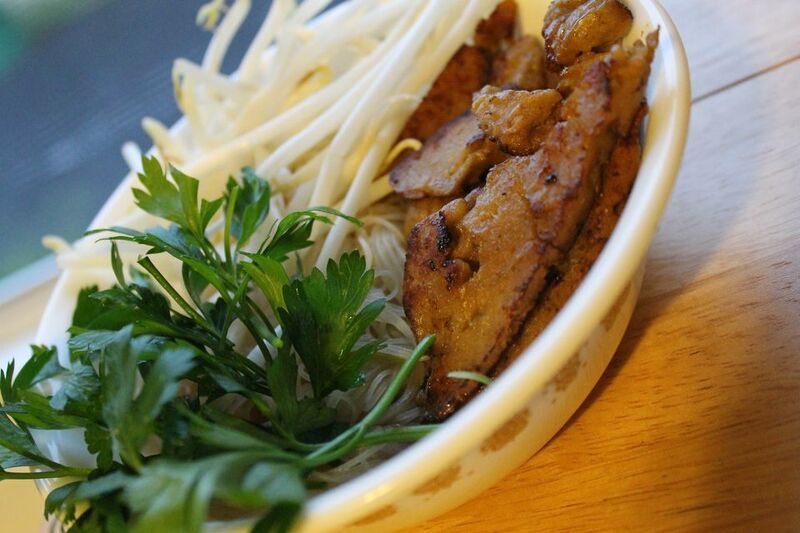 Vegan pho with seitan and an incredibly powerful mix of spices - including star anise, whole cardamom, and fresh ginger - to bring out an authentic Vietnamese flavor, even without the meat. If you don't have a crock pot or slow cooker, heat the soup on low heat for at least one hour. In a dry nonstick skillet, quickly heat the spices, ginger, and onion until the seeds start to pop, about 5 minutes. The onion and ginger should look slightly caramelized. Place them in a cheesecloth packet and tie it securely. In a 4-quart slow cooker, place the cheesecloth packet. Add the broth, soy sauce, noodles, and seitan. Cover, and cook on low for 4 hours. Remove the cheesecloth packet after cooking. Serve each bowl topped with cilantro, basil, sprouts, and scallions.